The wedding cake is the center of attraction at a wedding for some people; it only makes sense that the cake gets special treatment as one of the top sights at a wedding reception. 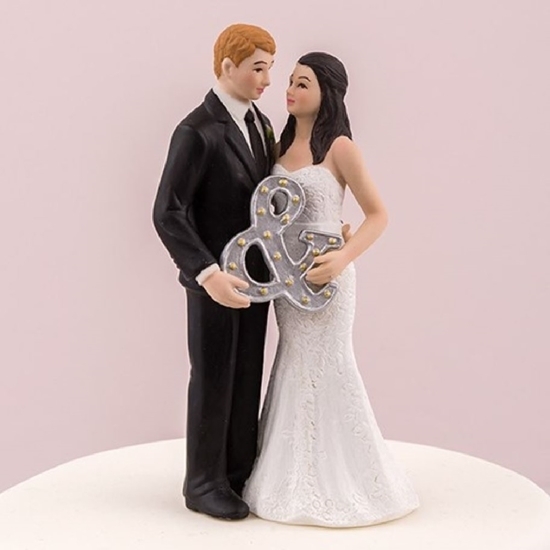 Cake toppers are probably the best way to express a feeling or communicate a message at the reception. Whether it is one of humor, romance, or pride, a cake topper must represent the love and maybe even the story between the bride and groom. The Mr. & Mrs. Figurine Cake Topper accentuates the cake with a cute and simple demonstration of how the ceremony transformed the newlyweds.